At the Barber's scent evokes the memory of an invigorating masculine ritual: the sounds and sensations encountered at a local barber shop. Get back to this relaxing instant with this aromatic Eau de Toilette. 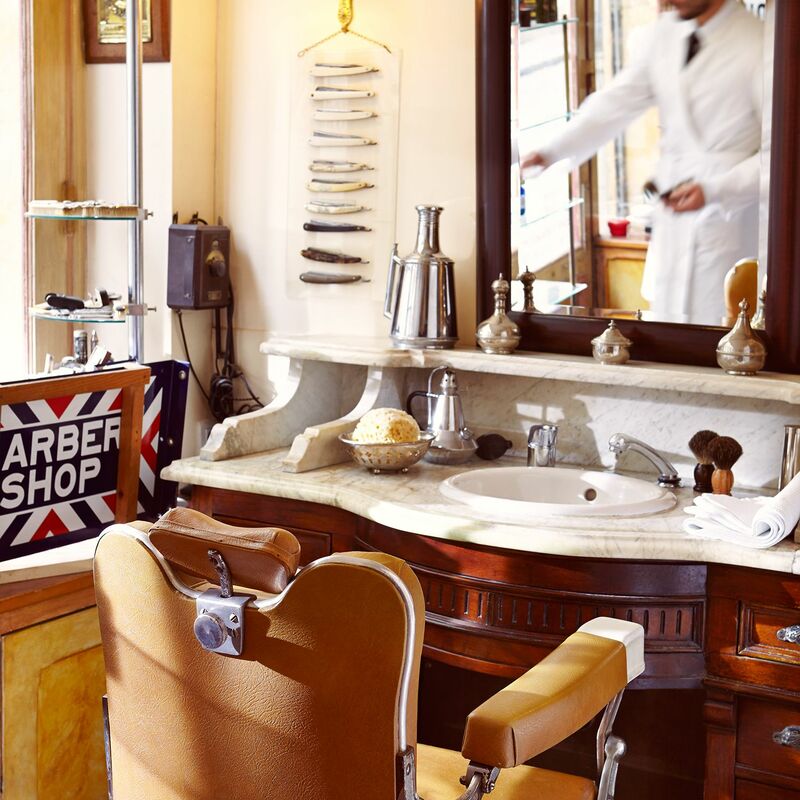 At the Barber's is a true balance between aromatic and woody notes. Its freshness is made up with tonka beans, white musk, black pepper, rosemary, lavender and basil accord. Focus on the orchestrated ballet of gestures: a shaving brush is soaked with soapsuds before the blade slides jerkily over the skin. The trendy vintage ritual ends with the soft rustling of a warm white towel on the cheeks. 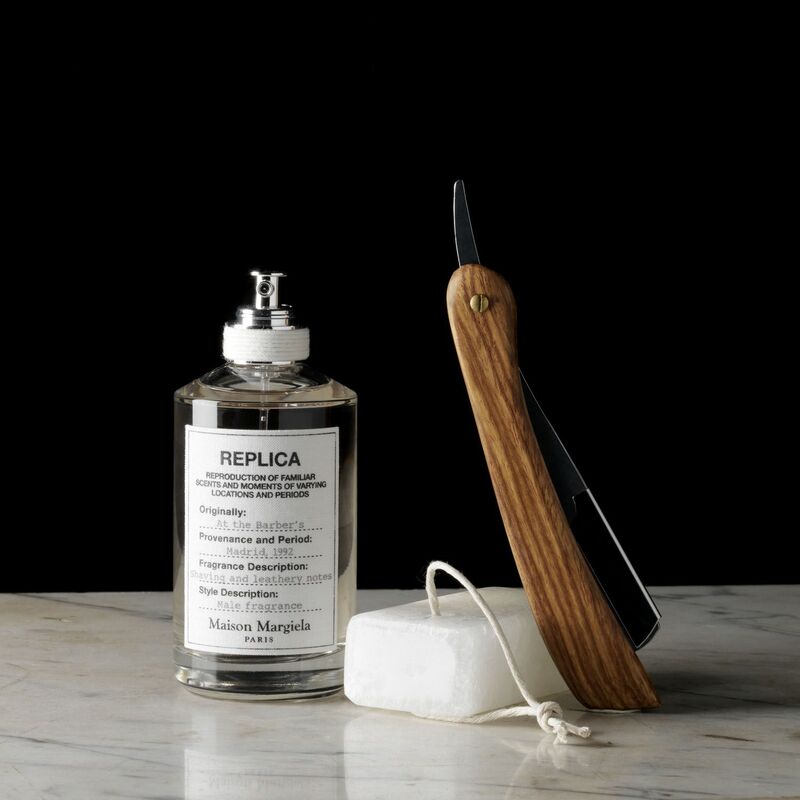 This subtle aromatic Eau de Toilette is part of the Replica Collection. Use one of Replica Filters to twist your Eau de Toilette. Recall an hypnotic daydream, lulled by the music's vibrations. A modern approach to this secular tradition. Enjoy the harmony of a tea ceremony. A surprising melody of green freshness.